From the New Orleans rave scene of the early 90s, to the current EDM and festival scene, James “Disco Donnie” Estopinal Jr. has been promoting shows for decades. 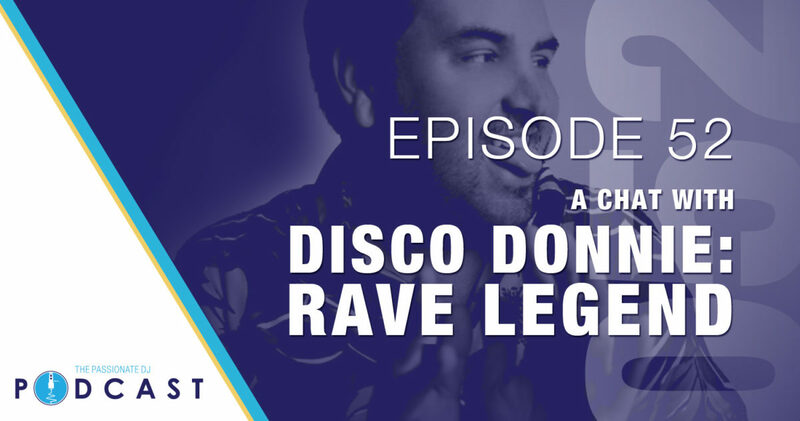 In Episode 52, Donnie spends some time with us to talk about modern dance music, his origins in the rave scene, and the differences between then and now. His resume is a vast collection of successful shows, collaborations, festivals, and enterprises. As the head of Disco Donnie Presents, he was at the bleeding edge of the current EDM boom in America. Since their inception, the company has amassed over 7,000 live events, arena shows and outdoor festivals in over 100 markets around the world. We also discuss the collapse of the rave scene circa 2001, the now-infamous “crackhouse law”, and the litigation which nearly landed Donnie in jail for up to 20 years. We are excited and honored to have Donnie as our guest, and a friend of the Passionate DJ Podcast!